Passenger processing « What Happened to the Portcullis? 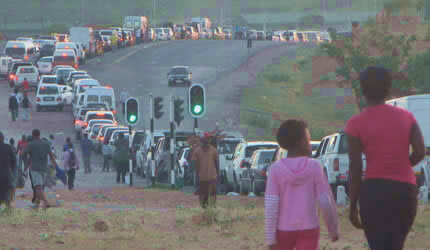 The Department of Immigration in Beitbridge has put in place mechanisms aimed at dealing with congestion at the country’s busiest border post in anticipation of an increase in the volume of traffic during the festive period. Assistant regional immigration manager in charge of Beitbridge Border Post, Mr Charles Gwede, said they have since held a series of meetings with key stakeholders and their South African counterparts to address congestion at the border. “We have started preparing for the festive period in anticipation of a huge influx of travellers and all necessary strategies are now in place to help speed up the clearance of people during the festive period,” he said. “We are suspending leave and off-days for staff between 15 December and 16 January next year. “As part of our decongestion drive we will scramble our shifts to maximise on manpower during the normal and extra peak days. In fact, starting from 15 December we expect a huge influx of travellers hence between 14 and 17 December, 21 and 24 December and 4 to 7 January, we will dissolve our shifts to ensure that we have more officers per shift who would effectively manage the queues and speed up the clearance process,” he said. Mr Gwede said they were expecting 20 officers from other stations to beef up the local staff and ensure that all check points and counters were adequately manned. Beitbridge Border Post has a staff complement of 47 officers and support staff. “As border stakeholders, we held several inter-border meetings with our South African counterparts to discuss and explore ways and strategies aimed at dealing with congestion during extra peak periods. As part of their decongestion strategy, Mr Gwede said they would categorise travellers and create more counters to reduce queues. According to statistics, immigration officials at the border handled 73 825 travellers between Monday and Wednesday on both arrival and departure sides. The Zimbabwe Revenue Authority (Zimra) spokesperson, Mr Canisio Mudzimu, said they would deploy relief officers to Beitbridge Border Post to beef up the local staff and help speed up the customs clearance process. “We are geared up in terms of facilitating the smooth movement of both human and vehicular traffic passing through Beitbridge Border Post during the festive season. We will deploy extra officers from less busy stations to Beitbridge Border Post during the festive period and to assist in border operations,” he said. Beitbridge Border Post requires at least 247 customs officers to man it. The border post, which is the country’s busiest inland port of entry, has an establishment 141 officers. Mr Mudzimu said they would create separate traffic lanes to cater for tourists, returning residents, private motorists, commercial, buses and pedestrians to speed up the flow of traffic and reduce congestion. Touts and bogus clearing agents continue to find their way into the customs yard where they would swindle unsuspecting travellers of their money under the guise of offering assistance. Beitbridge is the busiest inland port of entry in sub-Saharan Africa, which handles a huge volume of both human and vehicular traffic passing though daily. 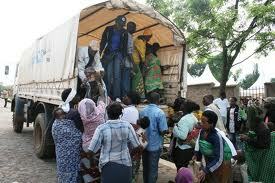 Commercial trucks destined for East and Central African countries such as Tanzania, the Democratic Republic of Congo and Zambia also pass through the border post. Spare a thought for the informal traders in this region. The terminology is also somewhat humorous, if not ‘offensive’ to an overly liberal mind – democratic South Africans in particular. Trade along the Rwanda-DRC border is still going strong, although with some difficulty, despite the ongoing political tensions between the two neighbors.The Rwanda Focus visited Gisenyi, from where it has been reported that several Rwandan civilians who have attempted to cross into DRC for business have allegedly been arrested and tortured. “You can’t go in there but if you insist, then be ready to die or to be tortured by the authorities in Congo,” said Safina Mukankusi, a cross-border trader. According to locals here, anyone with links to Rwanda in form of passport, looks or language is a target for the Congolese authorities. The irony is Gisenyi is full of Congolese civilians loaded with all sorts of merchandise bought from Rwandan markets which they then carry to the DRC. It’s also here that massive petty smuggling takes place. “There are so many ‘fat’ women around here,” said a Rwandan customs official, explaining they are stuffed with several garments in which they then hide commodities such as alcohol and sell them on the Rwandan side at a profit. “Some make more than 20 trips per da,y often smuggling a single commodity per journey… but these are poor people who are looking for a meal from their petty deals,” the official revealed. From the proceeds from smuggled goods, the Congolese then buy food and all sorts of stuff which they take back home to sell. With the current instability however, there’s a new development. “Many Congo-men are coming to sleep here at night and go back home during day for fear of attacks,” said Fidel, a resident of Gisenyi. He says most of them sleep on the streets while others have rented some cheap houses in which they spend the night, often in groups. Looking at the people here, it’s quite hard to imagine that their country is home to some of the world’s most valuable minerals such as gold and diamonds. Bribes and other corrupt dealings are the quickest ways to get a service done according to Rwandan traders. “Once they know you have money, they will detain you until you part with some of it, it’s mostly those that don’t have anything who are tortured,” explained Laurent Makubu, who claims he has been detained but bribed the Congolese police with $15 to secure his freedom. The South African government has reaffirmed that the green barcoded identity (ID) book will be phased out and replaced with a new smartcard ID after Cabinet endorsed a Department of Home Affairs (DHA) pilot project to test the hardware and software used to produce the cards. The new card would be phased in over a period of about four years and would embrace a contactless chip, which Cabinet said was based on international trends and standards. The smartcard solution would also be integrated with the deployment of a new National Identity System that would digitally capture biometric and biographical details of all South Africans and foreign nationals living inside South Africa. 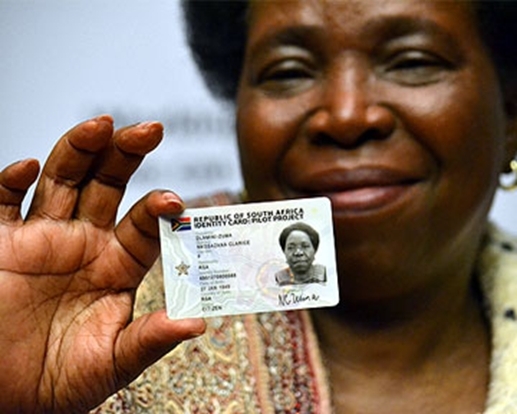 Home Affairs Minister Dr Nkosazana Dlamini Zuma reported recently that the integrated system would be linked to systems for movement control, permitting, as well as asylum seeker and refugee management. The DHA planned to issue some 2 000 smartcard ID’s during the pilot phase, which was unveiled to lawmakers earlier in the month. 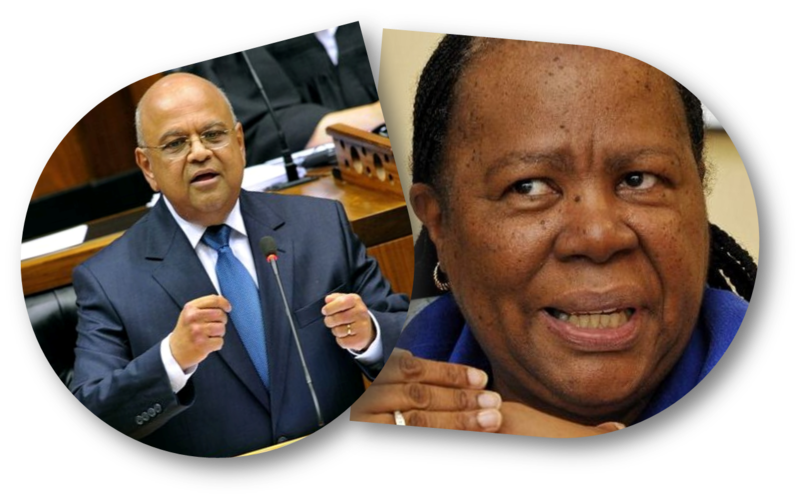 The pilot phase would prioritise people applying for IDs for the first time and was likely to cost about R5-million. The first issue of the smartcard would be free of charge, with the cost implications for reissuance yet to be determined.The test phase would enable the department to test its systems and enable government to procure the required machinery to produce the volume of cards that will be required to phase out the green barcoded ID books. No indication was given as to when a tender would be issued for the procurement of the full-scale system, or what the solution was likely to cost. In an ongoing effort to reduce wait times at the International Bridge, U.S. Customs and Border Protection Office of Field Operations will pilot a project to bring vehicles to the inspection booths in less time. The stop signs will be placed in all three upper lanes and will shorten the “pull up” distance to the booth. This allows vehicles to queue up quicker. “Efficacy in movement is paramount to this project’s success. We are always trying to improve the flow of legitimate traffic while enforcing the laws of the United States,” said Patrick Wilson, CBP Sault Ste. Marie Assistant Port Director. The Sault Ste Marie port of entry has a unique design that separates commercial traffic from car traffic, creating an upper and lower plaza. The focus of this project will be on the upper plaza only and will not affect the flow of traffic on the lower plaza. Stop signs will be placed in all three upper lanes beginning Friday, April 20. The stop signs will shorten the “pull up” distance to the booth. This allows vehicles to queue up quicker. 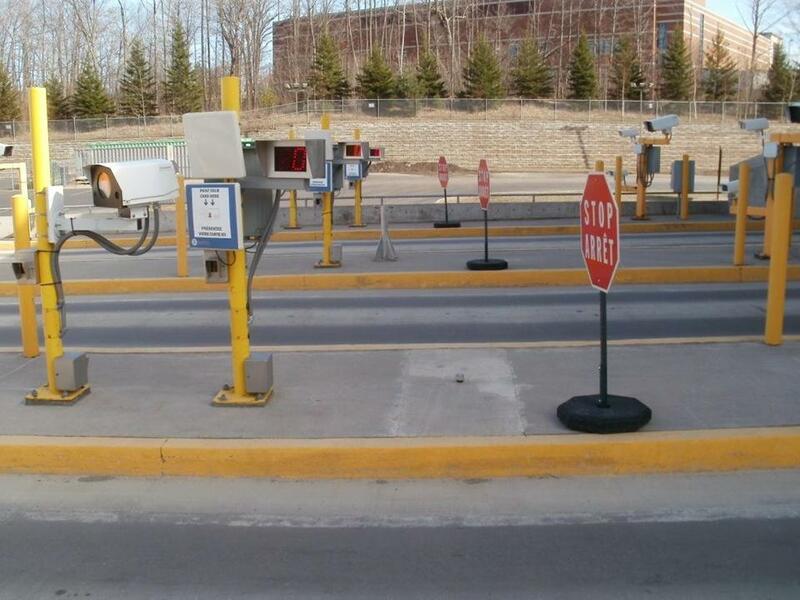 The stop signs will be placed near Radio Frequency Identification readers where the traveling public can display their Western Hemisphere Travel Initiative RFID-enabled document to pre-populate the officer’s computer screens. 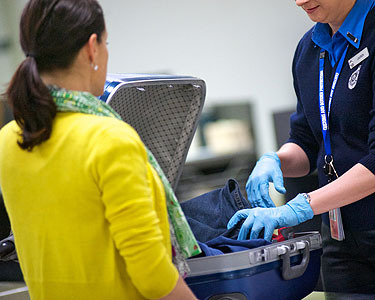 CBP is testing the theory that they can process more travelers each hour by reducing the amount of time it takes each vehicle to get to the inspecting officer. This pilot project will incorporate a two-stop sign process. Upon entering the upper plaza, vehicles will be required to stop at the first existing stop sign. As the vehicle ahead clears, travelers will move to the next new stop sign and present their ID to the RFID reader. Once the vehicle at the inspection booth clears, travelers will proceed to the inspection booth. Vehicles with trailers/campers are asked to use the lower plaza lanes so as not to impede the functionality of installed equipment. LED signage will be adjusted to notify motorists of this change.